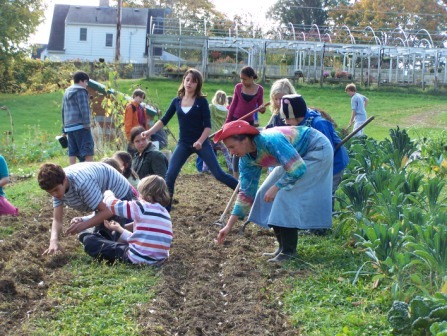 Our vision: Inspired by the work of Rudolf Steiner, PRWS seeks to cultivate renewal through the integration of education and agriculture by engaging in a unique mix of social, cultural and economic endeavors. In today’s world the youngest children need more outdoor time where they experience nature and may have purposeful work; elementary school students want to know more about the world through hands-on projects; high school students want to engage the world in a real-life business. We meet these needs by educating and inspiring children through hands-on experiences in our expansive gardens just a block from the school. The Pleasant Ridge kindergartens have robust outdoor spaces where teachers work small garden plots and children join them as they are interested. 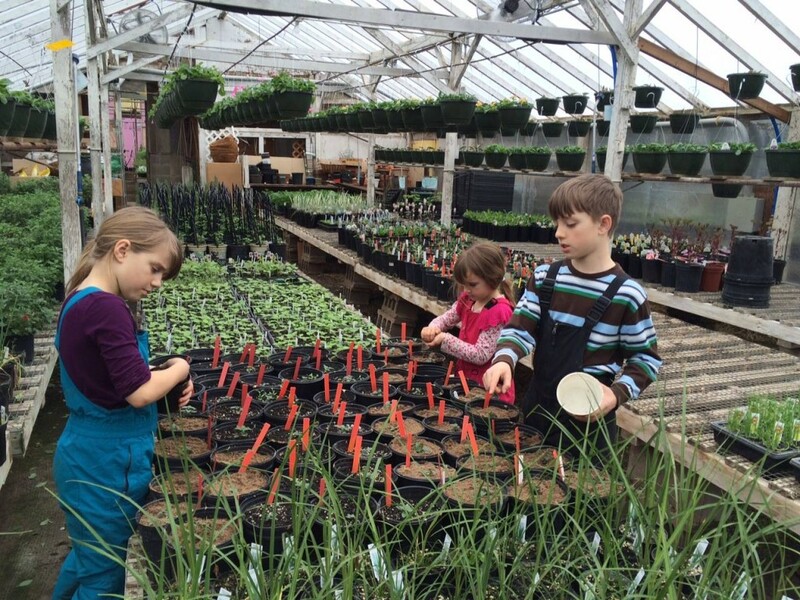 Over the years interest in gardening with the grades students grew as teachers and parents with skills found ways and means to expand, including establishing a school garden on a neighboring property by teacher Steve Lawless in 2006. The school later purchased this property in 2015. This activity went hand-in-hand with the development of our Organic Hot Lunch Program offered four days a week to the grades and the Youth Initiative High School. 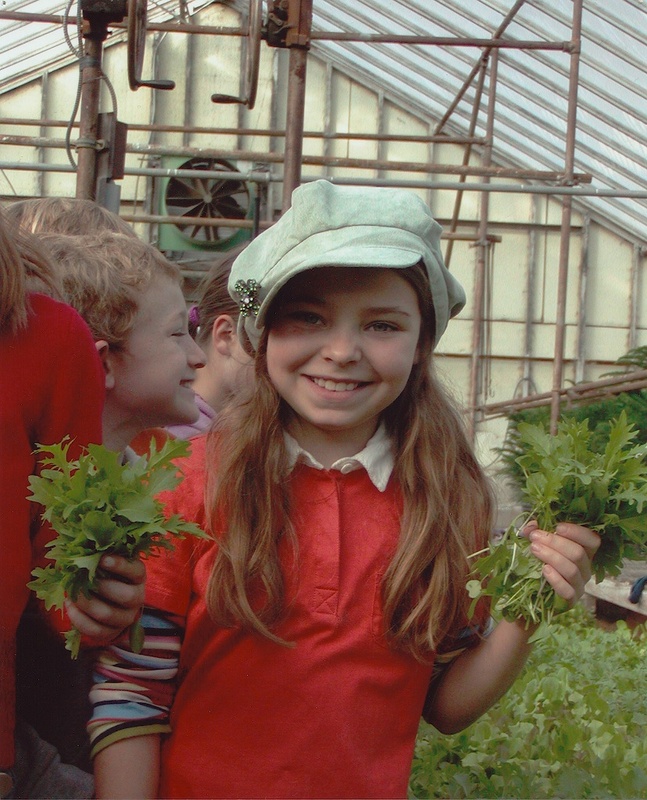 In 2010 the school added a greenhouse just outside the school kitchen where herbs, greens and seed starts are grown. Students have the wonderful experience of planting, harvesting and serving food that they have helped grow in the many gardens available to them. They also learn composting, vermiculture, tool maintenance and garden planning. Honey bees and mason bees are kept on the property. The Garden Program Coordinator has expanded the gardening curriculum which is delivered during Garden Field Days in Sept., Oct., April and May. On those days four classes spend time in the gardens. New raised-beds have been built that create planting areas that are appropriate for different ages. A fourth grade class built an expansive garden shed for storing the many tools. Youth Initiative High School holds part of their Agriculture block in the gardens, maintaining their own plots, and also donates service hours during their service weeks. 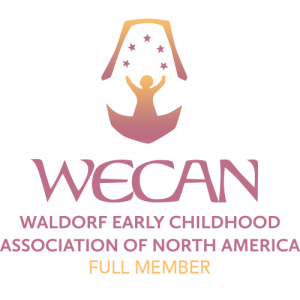 Garden-focused day camps are offered during the summer months to aid in the summer maintenance. Journal Buddies will have a light breakfast in the gym with our 6th grade students and those of VAS, as well as homeschool children. French onion soup, baguette, crepes? Les Miserables - This is a community performance. A French dinner will be offered beforehand as a fundraiser. Presentation portion of - The Prophetic Future is Now: Rudolf Steiner's Perspectives on Technology and Human Evolution. Suggested Donation $15. Conversation portion of - The Prophetic Future is Now: Rudolf Steiner's Perspectives on Technology and Human Evolution. Suggested Donation $15. Presentation portion of - From Egoism to Love: Doing the Good with the Guidance of the Fundamental Social Law, Social Threefolding, and the Reverse Ritual. Suggested Donation $15. Conversation portion later on Saturday afternoon. Conversation portion of - From Egoism to Love: Doing the Good with the Guidance of the Fundamental Social Law, Social Threefolding, and the Reverse Ritual. Suggested Donation $15.